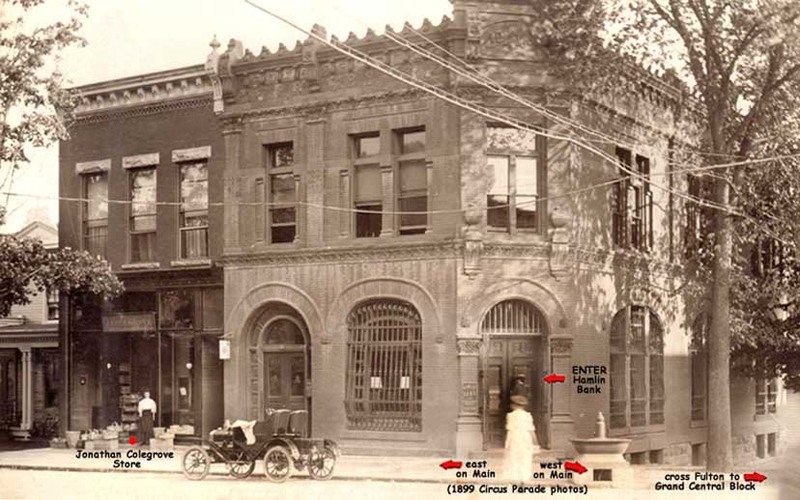 In 1887 Henry completed his new brick bank building on the southeast corner of Fulton and Main Streets. Famed Buffalo architect Milton Earl Beebe was hired to design the magnificent 32x76 two story structure. As a financier Mr. Hamlin has been wonderfully successful, making investments only after thorough investigation; and while he has been and is at present largely interested in timber lands in his own and other States, in the production of oil and in other commercial and ventures, he rarely makes a mistake or suffers a loss, his present banking establishment, known as the banking house of Henry Hamlin, being one of the solid institutions of Western Pennsylvania. A marked characteristic of Mr. Hamlin's business life has been his leniency toward the deserving poor among his debtors, as many a man in McKean county can attest, for while he has always worked under strict business rules and principles, he has never been an oppressor of the poor. Mr. Hamlin has done much for the prosperity of his native town: notably his connection with the present successful water-works system, the erection of his handsome bank building, which would be an ornament to a much larger place, his own handsome grounds, and his interest in all matters of public improvement. 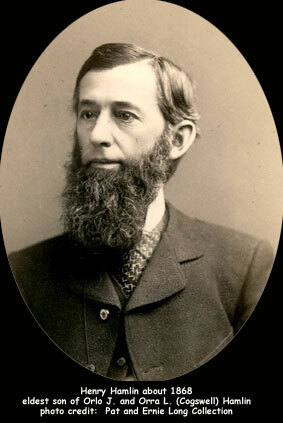 Henry Hamlin was a recognized leader of the banking business. His father, Orlo Hamlin, arrived in 1826 as McKean County's first lawyer. 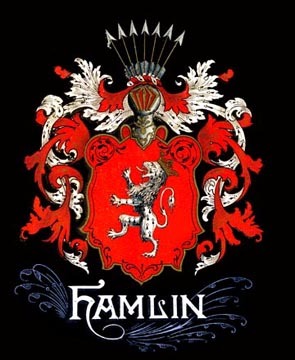 Since 1853, Henry Hamlin had loaned money on a personal basis. The Haskell Store, located on the SW corner of Main & Church Streets , was a general store Henry Hamlin owned, and served also as his bank's office. It was named the "Hamlin Exchange Office". The Haskill Store was built by Henry and Bryon Hamlin in 1857. Bryon Hamlin was Henry's uncle and also a lawyer. Hamlin Bank was established in 1863, the same year when President Lincoln signed the National Banking Act, (N.B.A.). Henry Hamlin retired from mercantile life in 1874 and turned his store completely into a bank. In May 1880, a fire that spread from the Bennett House, the headquarters of General Thomas Kane, destroyed the bank. General Kane organized the immortal Civil War Bucktail Regiment in 1861. In 1886, a new building was built for only $15,000 which was a lot then! That same building is still here today. At the regular meeting of the stockholders of the Hamlin Bank and Trust Company, the following directors were elected, Henry Hamlin, Orlo J. Hamlin, John Forrest, F. D. Gallup, Jas. A. McKean, Charles McKean, C. D. Comes, H. H. Redfield and Ralph E. Burdick. The regular 10% annual dividend was declared, which makes $100,000.00 that has been paid to the stockholders in dividends in the last five years and the capital, surplus and undivided profits are now $275,000.00.